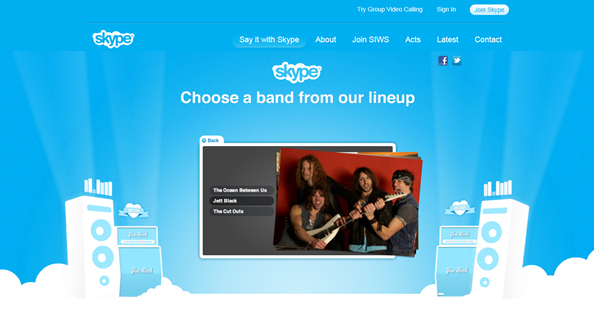 Skype has created an interesting video greeting app called Say it with Skype that users can personalise and share. You can choose the messaging, the band, and the most fun element – create a personal video (using webcam and microphone integrations). The UI is seamless and easy and the final rendition is visually clean and entertaining. There are multiple social sharing options and one can share the final link to the greeting or schedule it to be sent later. The app is now being used as a thematic promotion on the occasion of Mother’s Day today, but it is clearly scalable with options of sending out group greetings to family and friends as well.